Come and listen to the energetic and youthful sounds of The St. Peter’s Community Arts Academy Senior Youth Choir from Geneva, NY, USA. This is the final concert performance of the St. Peter’s Senior Youth Choir in Wales. The choir’s United Kingdom Performance Tour begins on February 14 and includes concerts in Moorlinch and Gloucester. The tour will conclude with performances at Royal Chapel of Stirling Castle and St. Giles Cathedral in Edinburgh, Scotland. Members of the choir are 12 to 18 years of age. The choir will present works from the classical choral tradition as well as American spirituals and Broadway musicals. Selections by such composers as Elaine Hagenberg, Gwenyth Walker and John Rutter and choral selections from musicals such as The Wizard of Oz, The Greatest Showman and Les Misérables. The Senior Youth Choir has performed throughout the Northeastern states of America and on past tours they have performed at some of England's great cathedrals such as Wells, Worchester and Eton College. This is their sixth tour to the countries of the United Kingdom. Entrance is free. A retiring collection will be taken up with proceeds to benefit Save the Children www.savethechildren.org.uk . The St. Peter’s Community Children’s Choirs are part of St. Peter’s Community Arts Academy located at St. Peter's Episcopal Church in Geneva, NY. The choirs were founded 1987 for the purpose of providing high standards of choral training for youth in the community. Choristers are required to sing one Sunday each month at a Choral Eucharist service. The choirs perform 2 annual concerts, a dinner-musical theater program, and have appeared at numerous community events. The choir performs under the direction of Ms. Wendra Trowbridge. Ms. Trowbridge is Director of Music at St. Peter’s Community Arts Academy in Geneva, NY where she directs three community children’s choirs. She has also been a faculty member at Hobart and William Smith Colleges since 1994 where she teaches private voice. Mr. Trowbridge’s own performances include numerous tours with the Celebrant Singers throughout the United States and fourteen countries. She has also performed in various recitals, oratorios and operas throughout New York State including Glimmerglass Opera and Ithaca Opera Association. 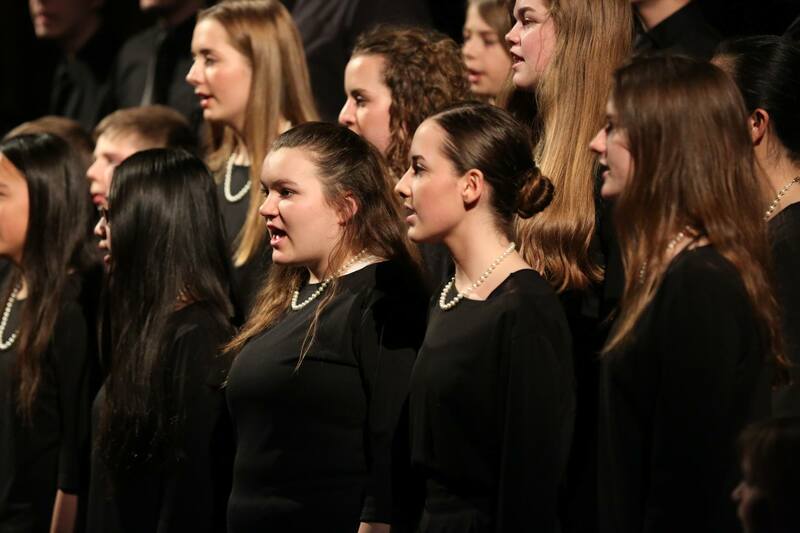 To learn more about the Senior Youth Choir from St. Peter’s Community Arts Academy, please visit https://stpetersarts.org/.